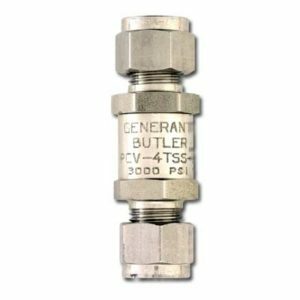 Poppet type, zero leak, inline check valve for liquid and gas applications to 3,000 Psig. Fully retained O’ring seal design permits full rated pressure in the checked direction. 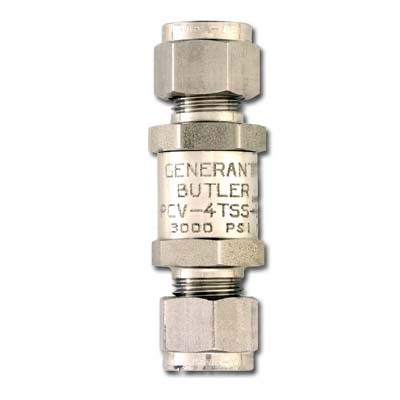 Offered with fully interchangeable dual ferrule tube or metal to metal face seal connections. A variety of crack pressures and seal materials, combined with a metal to metal positive stop provides long trouble free service life in the most demanding applications.